The National Black Food and Justice Alliance is a coalition of Black-led organizations working towards cultivating and advancing Black leadership, building Black self-determination, Black institution building and organizing for food sovereignty, land and justice. Kirtrina Baxter is a community organizer with both the National Black Food and Justice Alliance, and Soil Generation. 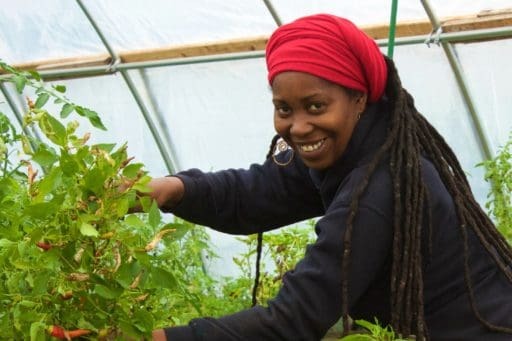 As an Afroecologist, she has a passion for preserving & creating cultural traditions through nutrition, growing food, seedkeeping, and advocacy. Kirtrina is the community organizer for the Garden Justice Legal Initiative at the Public Interest Law Center of Philadelphia. She assists gardeners in gaining access to land and resources. She also organizes Soil Generation, a diverse body of urban agriculture advocates & food justice activists who help inform policy and provide gardeners with support. The Movement Strategy Center (MSC) supports the development of local, place-based alliances that bring people together across issue, and national alliances that unite groups working on common issues. MSC cultivates transformative leadership, nurtures collaboration, and builds critical consensus and alignment on values-driven campaigns. 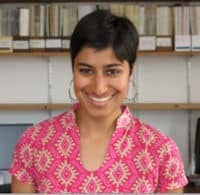 For more than 15 years, Navina Khanna has worked toward ecological and equitable food systems, using popular education, community and electoral organizing, writing, facilitation, and policy advocacy as tools for change. She brings together leaders and organizations across many sectors of the movement to develop shared multi-issue campaigns for real food. 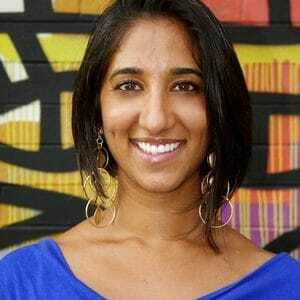 Navina also serves on the board of Urban Tilth. The Food Chain Workers Alliance’s (FCWA) mission is to improve wages and conditions for workers along the food chain. This national coalition of 25 food-worker organizations collectively represents over 250,000 workers. In 2008, Jose Oliva began coordinating the Workers’ Alliance for a Just Economy, a program of the Center for Community Change. In addition to leading FCWA, Oliva founded the Chicago Interfaith Workers’ Center, and went on to become the coordinator of Interfaith Worker Justice National Workers’ Centers Network. He also served in several leadership positions at the Restaurant Opportunities Centers United, the national organization of restaurant workers. The Union of Concerned Scientists (UCS) puts rigorous, independent science to work to solve our planet’s most complex and daunting problems. 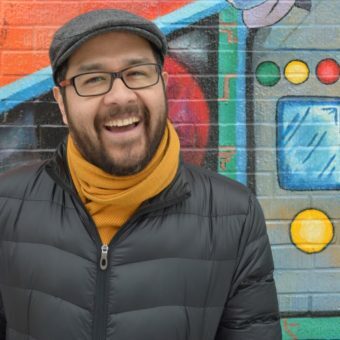 Ricardo Salvador leads the UCS Food and Environment program, working nationally with citizens, scientists, economists, and politicians to transition our current food system into one that grows healthy foods while employing sustainable practices. He is a respected agricultural scientist, writer and opinion leader working at the center of the food movement’s efforts to shift federal policy in support of healthy food and healthy farms, with a lens of social equity. In addition to his work at UCS, Salvador advises the National Sustainable Agriculture Coalition, FoodCorps, National Farm to School Network, Civil Eats, Center for Good Food Purchasing, the Journal of Agriculture, Food Systems and Community Development, and the Journal of Agroecology and Food Systems. Real Food Generation mobilizes young people for a just and sustainable food system. Anim Steel founded the organization in 2008 as the Real Food Challenge (RFC), a national grassroots campaign that harnessed the buying power of universities to accelerate a shift away from industrial agriculture and towards local, fair, sustainable, and humane sources. To date, students inspired and supported by RFC have secured over $55 million in ‘real food’ purchasing commitments. Anim Steel is the former Director of National Programs at The Food Project in Boston, MA and is a 2010 Echoing Green Fellow and current Prime Mover Fellow. Devika grew up on a small farm in Northern India where her parents continue to grow most of their own food using traditional ecological farming practices. Upon moving to the U.S. she was appalled and mobilized as she learned about food waste, and the health and livelihood harms inherent in our global agricultural system. As a student, Devika organized and led campus workers' rights and ecological sustainability initiatives, helping to build strong multi-racial alliances around these and other social and environmental justice campaigns. She interned with PAN in summer 2010, joined the staff in 2011 and became an Organizer and International Campaign Coordinator in 2012; she currently leads PAN issue drives on corporate control and food democracy and coordinates PAN's interns and Partners Program (organizational allies). Devika identifies as Desi/Indian/South Asian and is bilingual in Hindi and English. Mark has led numerous successful campaigns in farm and rural policy and organizing while building an effective membership organization in Minnesota and the Upper Midwest. LSP’s campaigns range from local campaigns that stop proposed factory farms and frac sand mines; to winning sustainable ag policy at the state level; to the development, passage, implementation, and usage of proactive federal policy like the Conservation Stewardship Program and the Beginning Farmer and Rancher Development Program. A key to LSP’s successful approach is the practice of organizing LSP steering committees composed of LSP members directly impacted by issues (e.g. the Farm Bill), who set LSP policy priorities and decide and lead the strategies to build and wield power to advance them. Mark also initiated LSP’s membership and individual giving program, leading to continuous growth in LSP’s membership and individual giving over the past 11 years – more than 4,000 households/families are now current LSP members. 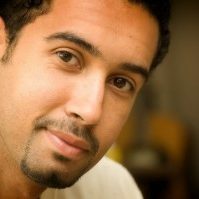 For the past six years, much of Mark’s work in Minnesota has focused on working with other base-building organizations to align progressive power across the state in a new, multi-racial, multi-sector, and statewide movement for environmental stewardship, prosperous communities, and economic, racial, and social justice. Magaly Licolli is the Executive Director of the NWA Workers’ Justice Center. She is from Leon, Gto, Mexico. She’s a founding member of IWOCC (Incarcerated Workers’ Committee) in Arkansas, and the NWA IWW (Industrial Workers of the World). 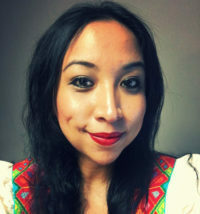 In 2013, she graduated from the University of Arkansas with a major in drama; she began her theater career in Mexico with emphasis in social justice. Her passion for social justice has changed her life. In 2014, she collaborated with El Beisman in Chicago with a project about violence against women. In 2012, she joined the #YoSoy132 Mexican movement, and was part of the International branch. Magaly enjoys living in the South mainly because the organizing work with the immigrant community is very crucial, and necessary. 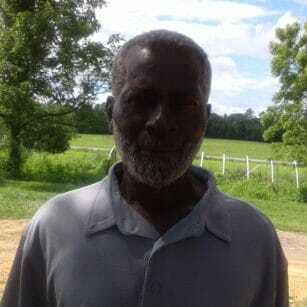 Phillip Barker is the co-owner of Olusanya Farm in Oxford, North Carolina and the co-founder of Operation Spring Plant, a non-profit organization, dedicated to promoting self-help community and economic development programs and initiatives for historically underserved and other small farmers and producers. Phillip has over 44 years of experience farming, and has long history of leadership and advocacy for small family farmers. He is eager to teach others and assist in the sustainability of the small farmer including land ownership, while helping farmers navigate USDA programs and services. 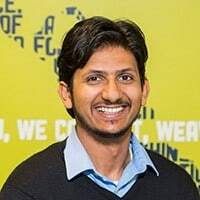 Sriram leads the Value the Meal campaign at Corporate Accountability International, which challenges McDonald's devastating impact on children's health and our food system. He works with parents, educators, health professionals, and labor allies to demand an end to the corporation's predatory marketing practices, political interference, and "health-washing" tactics. Previously, Sriram ran grassroots campaigns with Green Corps where he built power to transition college campuses off aging coal-fired power plants and to protect pristine wilderness areas like the Boundary Waters of Northern Minnesota. He is a 2016 Robert Wood Johnson Foundation Culture of Health Leader.